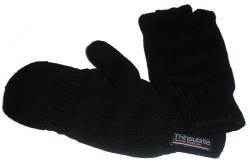 New mitt/glove in 100% Acrylic or with Thinsulate thermal insulation. These are fingerless mitts with a removable finger end cover. The UK delivery charge if you buy one of these items is from £3.56.